Crafting puzzles may seem like a grown-up game, but children can put together some pretty clever posers too. I recently worked with several highly gifted students, aged 6 to 12, from the Davidson Institute for Talent Development's Young Scholars Program, inspiring them to devise their own puzzles. Give these samples a try, and you'll find they're not mere child's play. [Easy to hard] There are 92 naturally occurring elements, and each has a different atomic number. Hydrogen is the lightest element, with atomic number 1. Nitrogen has atomic number 7. It is possible to write an equation for nitrogen's atomic number (7) using only the numeral 8, which is the number of letters in its name: 7 = 8 - (8/8). Can you write an equation for the atomic numbers of each of the elements listed at right, using the number of letters in each element's name no more than eight times? You may use addition, subtraction, multiplication, division, square roots, and factorials. (The factorial of a number n, written as n!, is the product of n times n-1 times n-2, all the way down to 1. For example, 5! is 5 x 4 x 3 x 2 x 1, or 120.) Use as few numbers as possible in each equation. To get you started, the solution to the first problem is 26 = 4! + √4. [Easy] The children in the Burk family all love science and math. Can you figure out each child's favorite topic from the hints below? 1. Brian: Unscramble each word and write the letters in the boxes. Then unscramble the letters in the red boxes to find his favorite subject. 1. [Challenging] The supercomputers at a major astronomy agency have just crashed, and the astronomers have lost track of which planets orbit which stars. Your job is to match the planets they've been studying (Apollo, Diana, Dionysus, Persephone, and Vulcan) to the stars they orbit (Beta Centauri, Betelgeuse, Kazul, Neutron, and Salanar). You have a modicum of information from notes left on the astronomers' desks (see below), and you know that no star has more than one known planet. Can you use the information on the notes to figure out which planet orbits which star and determine the order of the planets from coldest to hottest? Hint: Keep track of your guesses by drawing a table with planets as rows and stars as columns. 1. Diana and the planet that orbits Salanar are the only cold planets. The hottest planet, which is not Dionysus, orbits Beta Centauri. 3. 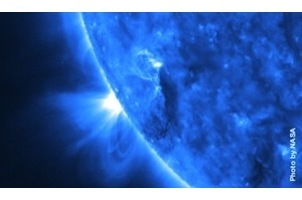 The coldest planet, which is not Persephone, orbits Neutron. 4. The next hotter planet than Persephone is Dionysus. 1. The first planet to be discovered orbits Heria, followed by Hibrid's planet, Cerberus, Medusa, and finally Lernea's planet. 2. Cerberus, Sphinx, and Gorgone's planet were discovered before Hydra. 3. Argus was discovered first. [Challenging] There's a method to the matrix below. Can you fill in the missing numbers in the bottom row? Hint: First try to figure out how the numbers in each row are related to each other. Think of shapes. The mission of the Davidson Institute for Talent Development is to nurture and support profoundly gifted young people. To learn more about the institute's programs and resources, head to www.davidsoninstitute.org. There are more puzzles and inventions by Scott Kim on his Web site, www.scottkim.com, where you will also find an archive of his monthly Bogglers columns, a Bogglers discussion board, and other amusements for your mind.